Life’s too short not to be audacious. What are you dreaming of accomplishing in 2015? Here’s a challenge for you: make an Audacious Goal for 2015. What’s an Audacious Goal? It’s a goal with three characteristics: specific, (a little bit) scary, and smart. Picture yourself in one year. What does your moment of “making it” look like? Step outside of your comfort zone and into your growth zone. Set yourself a big challenge and remember that “failure” is a crucial step in learning. Work smart. Set yourself up for success by giving yourself a structured plan for achieving your goal. What do you need to accomplish each month to make your vision happen? 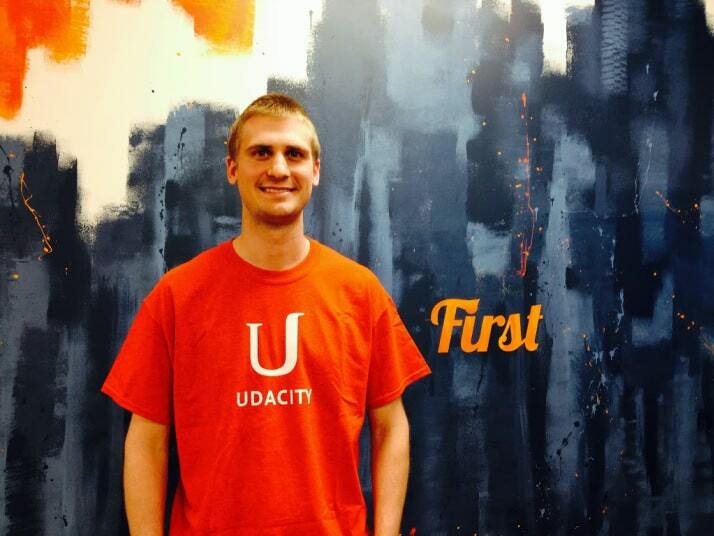 We’re inspired by all the things that our students achieve, and so we asked Scott, a Udacity student, to tell us about his most memorable goals. We first met Scott when he shared learning tips from his journey as a mathematics grad student to becoming a software developer at Prezi. Here is the Audacious Goal that Scott set for himself when he decided to learn development. When looking at changing careers, I told myself that in one year, success would mean working as a programmer somewhere, with a hobby project I’m maintaining. Or alternatively, discovering I’m not meant for software development. I worried a lot about my time and about failure. I was planning to invest so much time into changing my career, but maybe I would discover in the application process that it would take another year or two to reach a point where people would hire me. If so, do I stay in school and accept that programming remains a hobby? Or do I quit school to focus on studying CS full-time with no income? I felt the risk, and it scared me. I decided that six months after starting to seriously study, I would apply for programming jobs or internships. To compensate for my weak CS background, I would have a personal project which would wow employers, as well as a resumé of of online courses. I had a structured path to achieve my goal of creating a webapp, and I had to modify my path at different points because I couldn’t possibly have known in advance what I needed to learn. I wasn’t always sure that I chose the right next step, and sometimes I had to backtrack and re-plan what my next move would be. In planning, I always knew that my eventual goal was to create a webapp and I used that as a guiding light which helped me say “no” to certain things I would have loved to learn about (e.g. Artificial Intelligence, Cryptography). After 3 months of learning and building a webapp, I felt comfortable enough to apply for a job at Prezi, even though I didn’t consider the webapp totally ready. But I’ve since learned that software is never completely ready, and I had really overengineered what could have been a much simpler webapp. I didn’t feel that my time was wasted though at all: I learned a lot and got a job because of it! What is your #AudaciousGoal for 2015? Share in the comments or tweet at us with #AudaciousGoal! Can’t wait to cheer you on! My 2015 #AudaciousGoal is to earn the Data Analyst nano degree and get into Data Science or Business Intelligence career by 2016. Been trying for 5 years but this time will be armed with data technical skills!